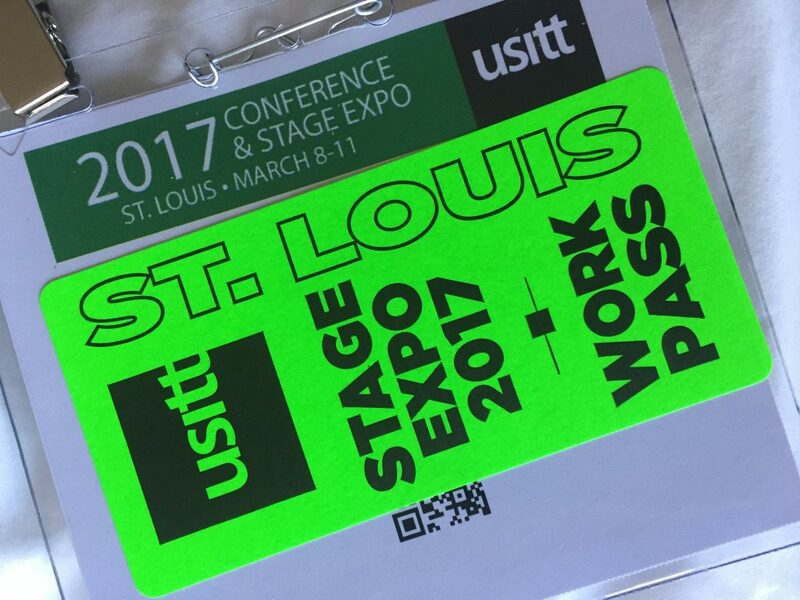 This past week, ShopBot Tools attended the 2017 USITT Symposium in St. Louis. The annual gathering, held at America’s Center Convention Complex, assembled the latest tools, technology, and products that are shaping the way that theatre programs are evolving in the 21st century. 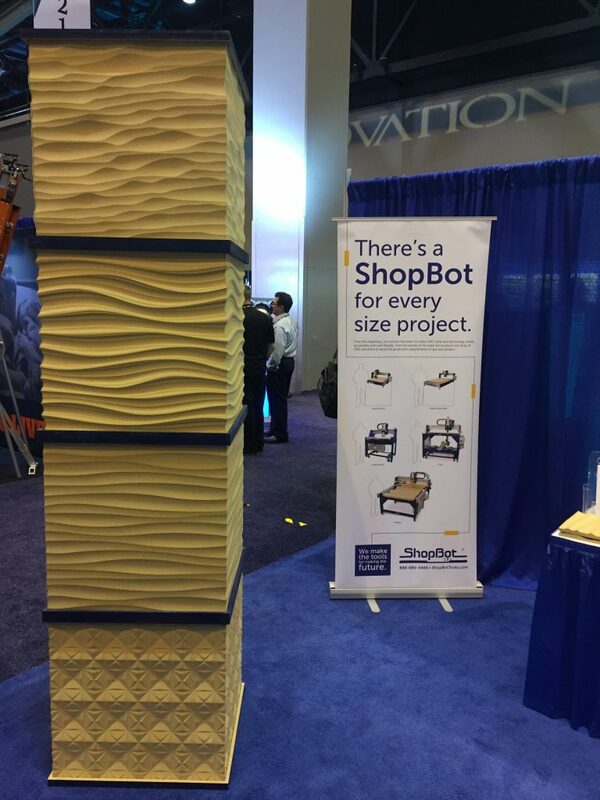 ShopBot’s booth highlighted the growing role of CNC in theatre production, and showcased some of the latest design and workflow innovations aimed at making productions easier and more realistic. 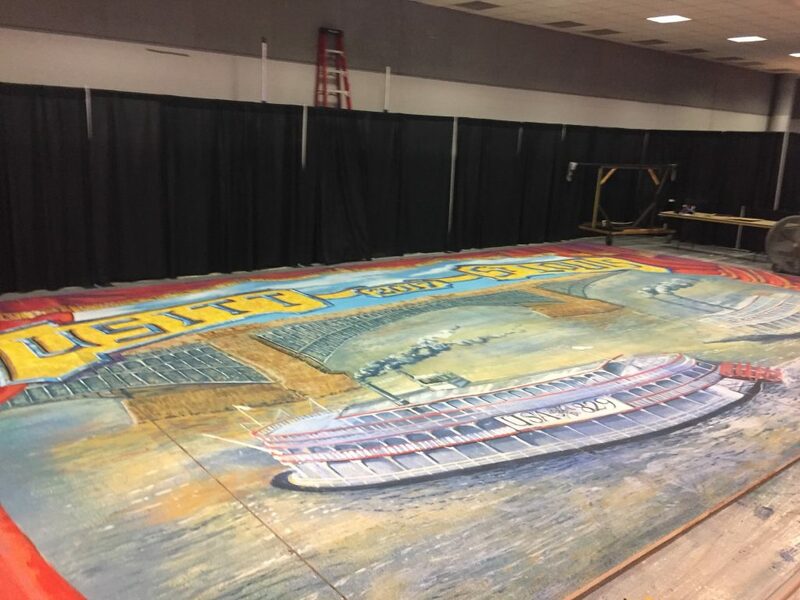 Over the course of the exhibition, master painters created this custom drop with a distinctive St. Louis flare. 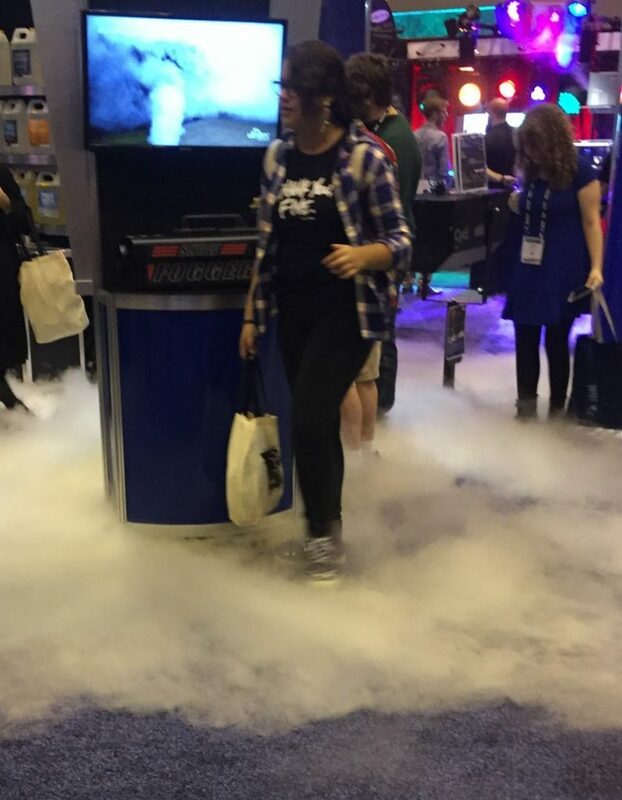 The ShopBot booth showcased the ways that CNC tools can be applied to theater and entertainment production. 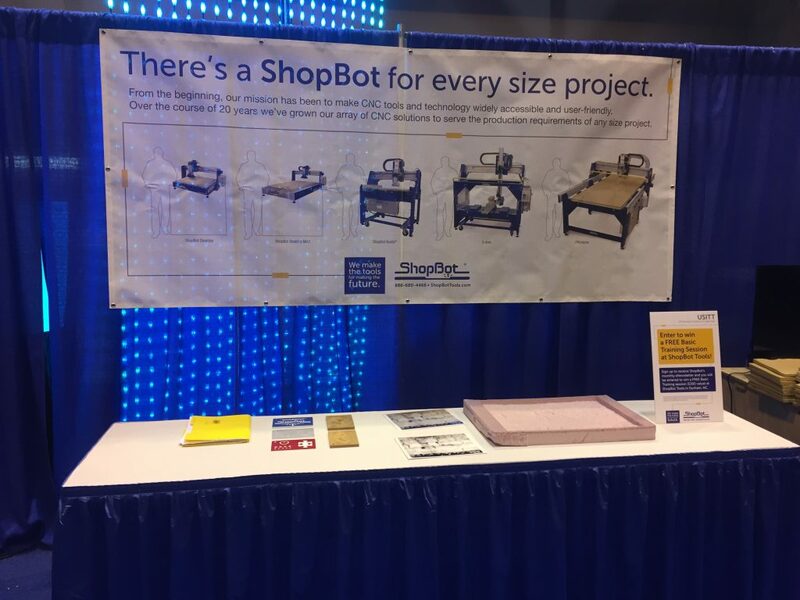 Throughout the conference, the ShopBot booth served as a resource for technical directors, performers, educators, and theatre shops looking for information on CNC in theatre production. On display was a slideshow highlighting sets from Alley Theatre and UNC School of the Arts, a foam hat block project from a UNC Chapel Hill graduate student, and videos of tools in action. The table exhibited all of the different materials that can be cut using a ShopBot router, ranging from aluminum and wood to MDF and foam. 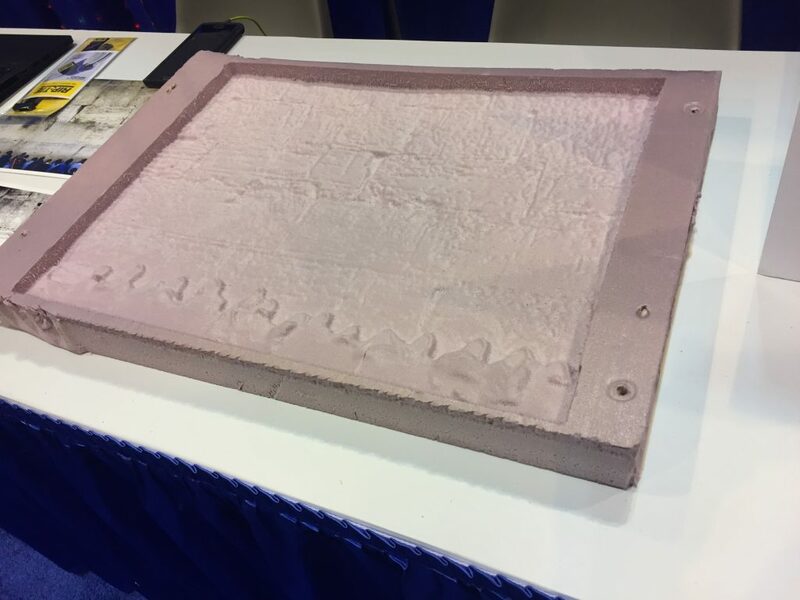 One of the more popular objects was a 3D-carved recreation of the Wailing Wall in Jerusalem, cut into pink insulation foam. 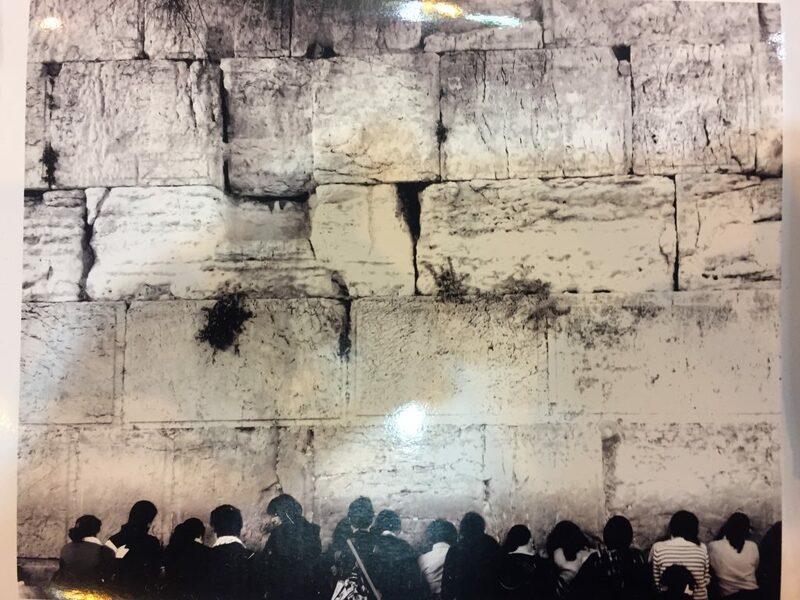 This full-color photo of the Wailing Wall in Jerusalem helped explain the process of converting a 2D image into a 3D carving. The image was then converted to gray scale, and the depth was controlled by the darkness of a given area. The crowd at the bottom of the image was then divided into a separate vector and the process reversed to place it on top of the image. Elsewhere in the booth, exhibition attendees enjoyed getting up close and touching the textures of Bill Young’s MDF column. Students, performers, and tech directors alike commented on the different moods that could be conveyed with the same surface and cutting tool. This column helped explain how CNC is an affordable and easy way to add texture to any production. 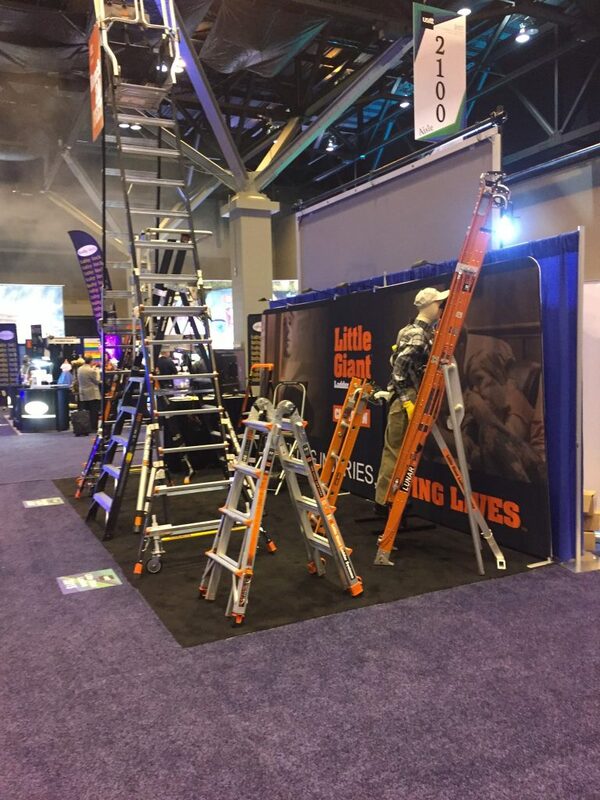 All around the convention hall, the sheer range of tools and products was a testament to just how much work goes into theatre production. 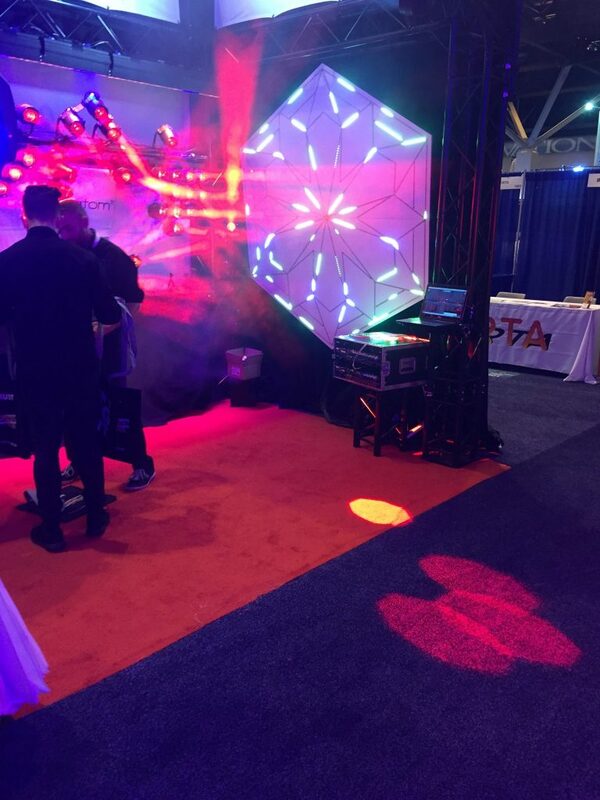 Everything from sound and lighting equipment through costumes and set design littered the floor, and there was no shortage of fun and surprise throughout the convention hall. We had a blast exploring all the things that go into a successful theatre and sharing the role of CNC in theatre production. We can’t wait for Fort Lauderdale and USITT 2018!